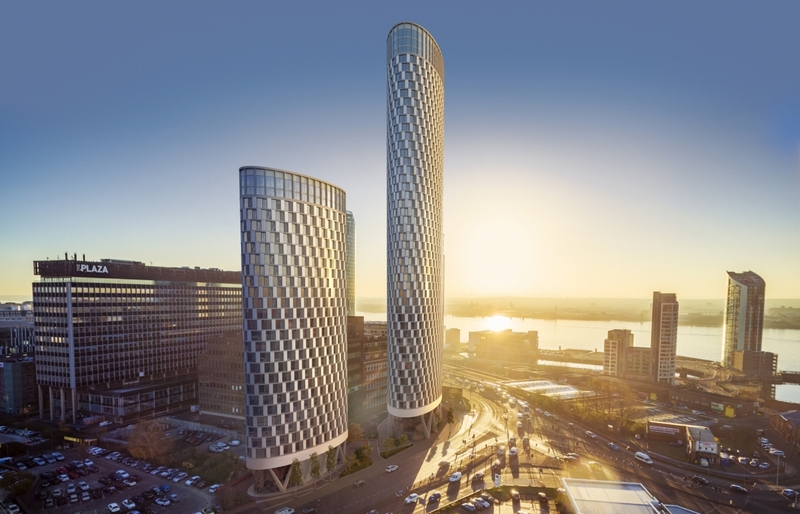 Ovatus I and II is a phased residential development comprising two towers at a significant gateway to Liverpool Waterfront and the UNESCO World Heritage Site. The entrance to Ovatus I, the first and smaller tower of the two, is from a new public square. This two storey height space gives access to 26 storeys of accommodation. The plant is located within a two storey basement. Residential floor levels 1-23 include a collection of studios, one bedroom and two bedroom apartments. 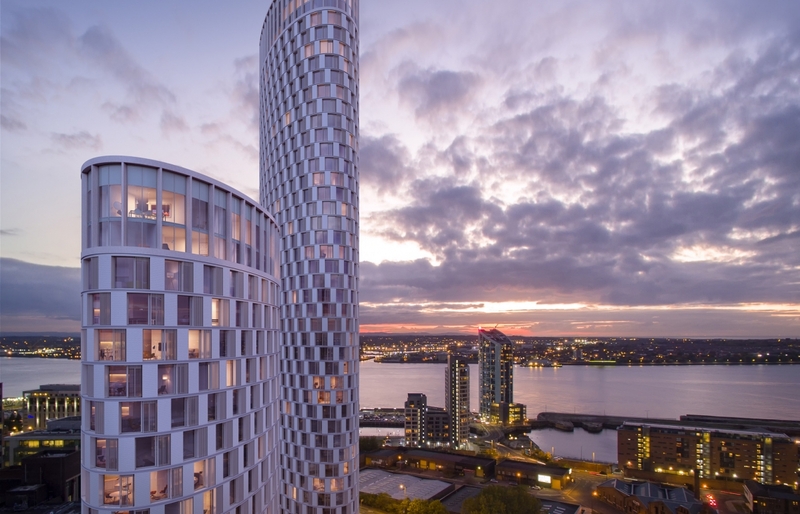 Floors 23 and 24 comprise three bedroom apartments, and floors 25 and 26 offer duplex apartments located within the corona of the tower. 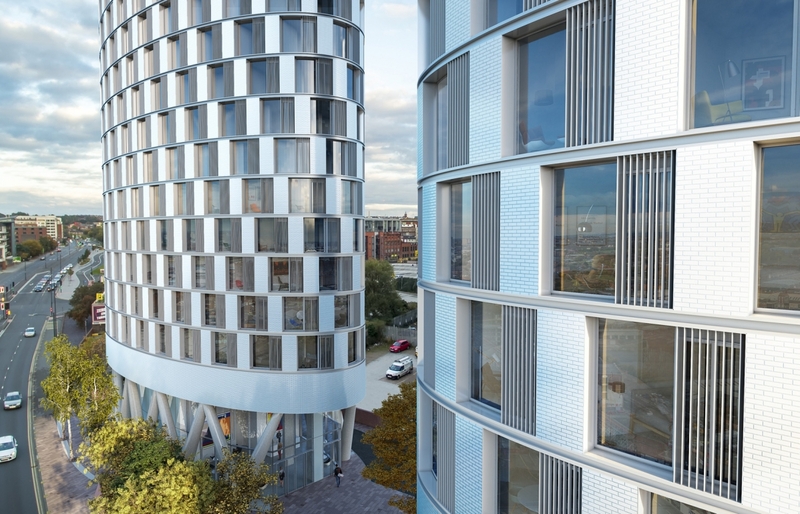 Its elevational treatment is designed to capture and reflect the beautiful light of the estuary, with a repeating pattern of fenestration that generates a dynamic spiralling ‘grain’ to the façade. 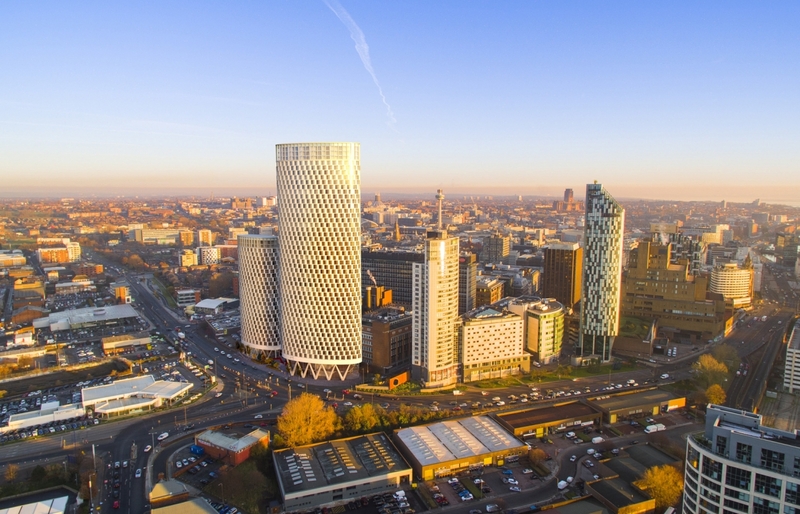 The 50 storey Ovatus II punctuates above the skyline, adding to the emerging cluster of towers to the north of the City. Ovatus II will provide for circa. 80 parking spaces within an underground basement car park with a service and access core. 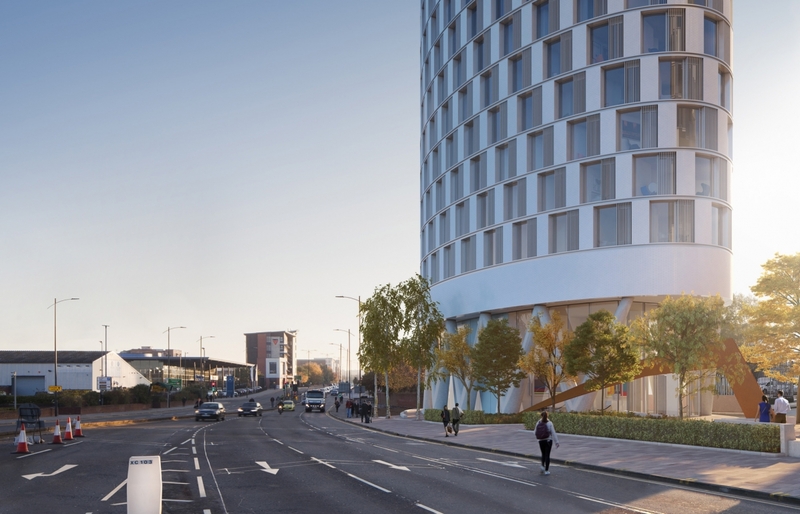 The tower will also accommodate a commercial usage at ground floor giving an active frontage and life to the proposed public realm. 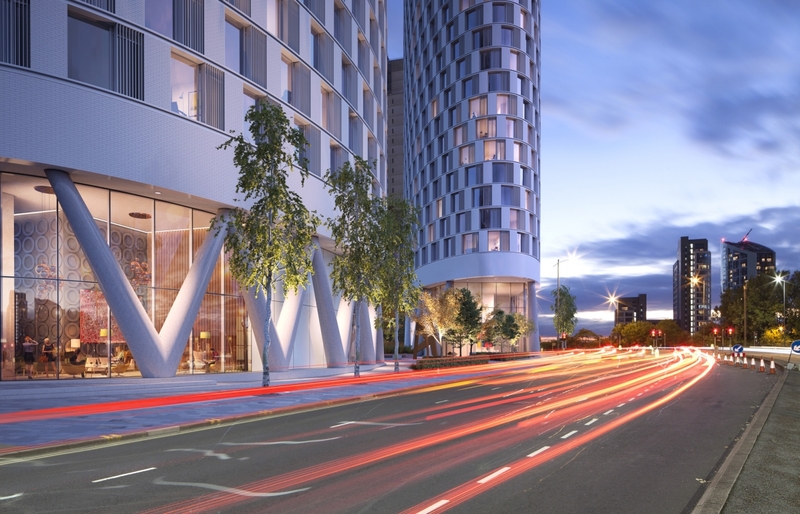 The tower adopts the same elevational principles as Ovatus I.
client 122 Old Hall Street Ltd.